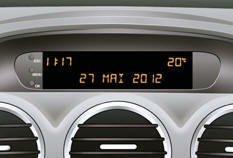 - parameter settings menus for the screen and vehicle equipment. - rear parking sensors (see "Driving"). 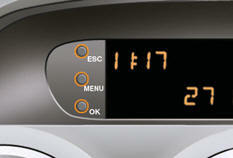 Once the "Options" menu has been selected, you can start diagnostics on the state of the vehicle (current alerts). Once the "Languages" menu has been selected, you can change the language used by the display (Français, Italiano, Nederlands, Portugues, Portugues-Brasil, Deutsch, English, Espanol).